LANs are a relatively low-cost means of sharing expensive resources. LANs allow multiple users and devices in a relatively small geographic area to exchange files and messages and to access shared resources such as those provided by file servers. LANs have rapidly evolved into support systems that are critical to communications within an organization. The following sections describe the challenges that shared LANs face as they confront the increasing need for bandwidth and speed to satisfy the needs of multiple users and devices. Segment length (the maximum length) is an important consideration when using Ethernet technology in a LAN. This topic describes segments and their limitations. A segment is a network connection made by a single unbroken network cable. Ethernet cables and segments can span only a limited physical distance, beyond which transmissions will become degraded because of line noise, reduced signal strength, and failure to follow the carrier sense multiple access collision detect (CSMA/CD) specifications for collision detection. 10 refers to the speed supported, in this case 10 Mbps. BASE means it is baseband Ethernet. T means twisted-pair cable, Category 5 or above. Each connection specification distinguishes some characteristics. For example, 10BASEFL would be 10 Mbps, baseband, over fiber-optic (FL indicates fiber link). Each type of Ethernet network also has a maximum segment length. 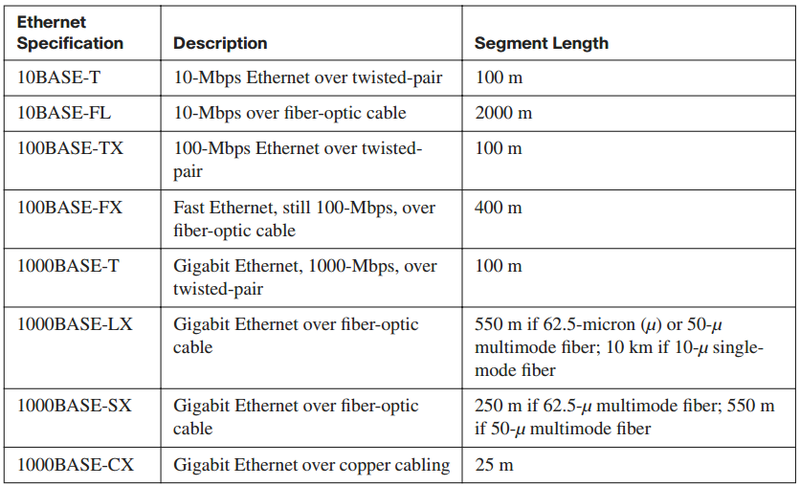 Table 2-1 describes the different Ethernet specifications. You can add devices to an Ethernet LAN to extend segments. This topic describes how adding repeaters or hubs can overcome the distance limitation in an Ethernet LAN. A repeater is a physical layer device that takes a signal from a device on the network and acts as an amplifier. Adding repeaters to a network extends the segments of the network so that data can be communicated successfully over longer distances. There are, however, limits on the number of repeaters that can be added to a network. A hub, which also operates at the physical layer, is similar to a repeater. Figure 2-1 shows two users connected to a hub, each 100 meters from the hub and effectively 200 meters from one another. When a hub receives a transmission signal, it amplifies the signal and retransmits it. Unlike a repeater, however, a hub can have multiple ports to connect to a number of network devices; therefore, a hub retransmits the signal to every port to which a workstation or server is connected. Hubs do not read any of the data passing through them, and they are not aware of the source or destination of the frame. Essentially, a hub simply receives incoming bits, amplifies the electrical signal, and transmits these bits through all its ports to the other devices connected to the same hub. A hub extends, but does not terminate, an Ethernet LAN. The bandwidth limitation of a shared technology remains. Although each device has its own cable that connects to the hub, all devices of a given Ethernet segment compete for the same amount of bandwidth. Collisions are part of the operation of Ethernet, occurring when two stations attempt to communicate at the same time. Because all the devices on a Layer 1 Ethernet segment share the bandwidth, only one device can transmit at a time. Because there is no control mechanism that states when a device can transmit, collisions can occur as shown in Figure 2-2. Collisions are by-products of the CSMA/CD method used by Ethernet. In a sharedbandwidth Ethernet network, when using hubs, many devices will share the same physical segment. Despite listening first, before they transmit, to see whether the media is free,multiple stations might still transmit simultaneously. If two or more stations on a shared media segment do transmit at the same time, a collision results, and the frames are destroyed. When the sending stations involved with the collision recognize the collision event, they will transmit a special “jam” signal, for a predetermined time, so that all devices on the shared segment will know that the frame has been corrupted, that a collision has occurred, and that all devices on the segment must stop communicating. The sending stations involved with the collision will then begin a random countdown timer that must be completed before attempting to retransmit the data. As networks become larger, and devices each try to use more bandwidth, it becomes more likely that end devices will each attempt to transmit data simultaneously, and that will ultimately cause more collisions to occur. The more collisions that occur, the worse the congestion becomes, and the effective network throughput of actual data can become slow. Eventually, with sufficient collisions, the total throughput of actual “data” frames becomes almost nonexistent. Adding a hub to an Ethernet LAN can overcome the segment length limits and the distances that a frame can travel over a single segment before the signal degrades, but Ethernet hubs cannot improve collision issues. bandwidth are known as collision domains, because when two or more devices within that segment try to communicate at the same time, collisions can occur. You can, however, use other network devices, operating at Layer 2 and above of the OSI model, to divide a network into segments and reduce the number of devices that are competing for bandwidth. Each new segment, then, results in a new collision domain. More bandwidth is available to the devices on a segment, and collisions in one collision domain do not interfere with the operation of the other segments. 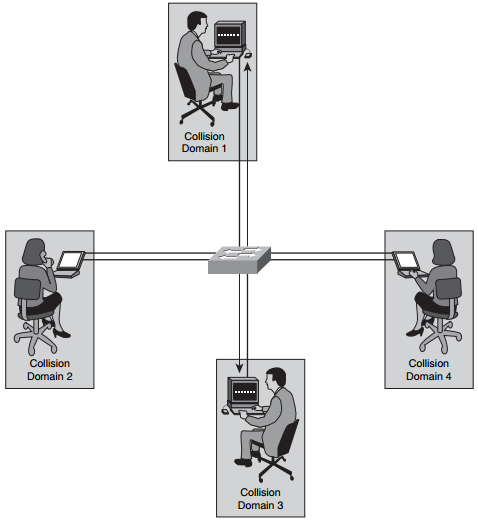 Figure 2-3 shows how a switch has been used to isolate each user and device into its own collision domain.